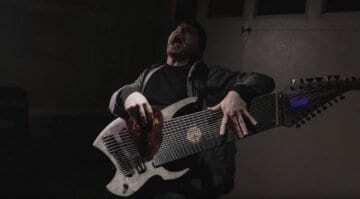 Watch YouTube’s Stevie T play a 20-String guitar. Yes, 20. 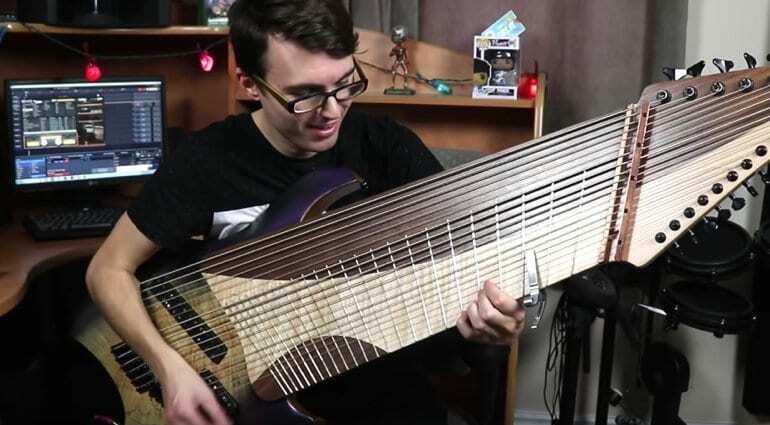 YouTube’s Stevie T went and got himself a 20-String Guitar. 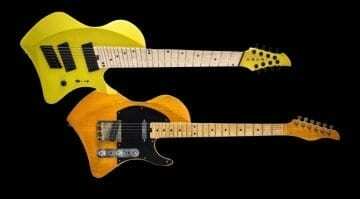 Yes, two more strings than Jared Dines 18 String behemoth from last year! Stevie T has uploaded a hilarious new video to his YouTube channel. 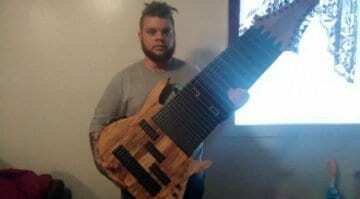 He was recently contacted by Chinese custom guitar manufacturer 10s, who offered to build him a 20-string guitar – 2 more stings than on Jared Dines Djent 2018 monstrosity by Ormsby. 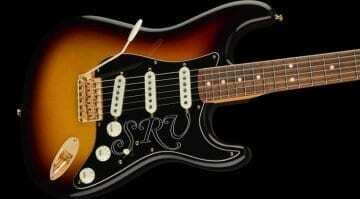 The guitar has a black walnut body and custom-built especially for the guitar a set of 4 Seasons pickups. We don’t know the full specification, but Stevie does mention a few times that it is pretty heavy. It looks ridiculously heavy – making it perfect for ridiculously heavy riffs, perhaps? Make sure you watch the video below! The extreme size of this guitar makes the spectacle of someone playing it kind of funny. It also proves that Stevie T is quite possibly off his rocker, mucking about and playing around with this bizarre instrument in an entertaining way.